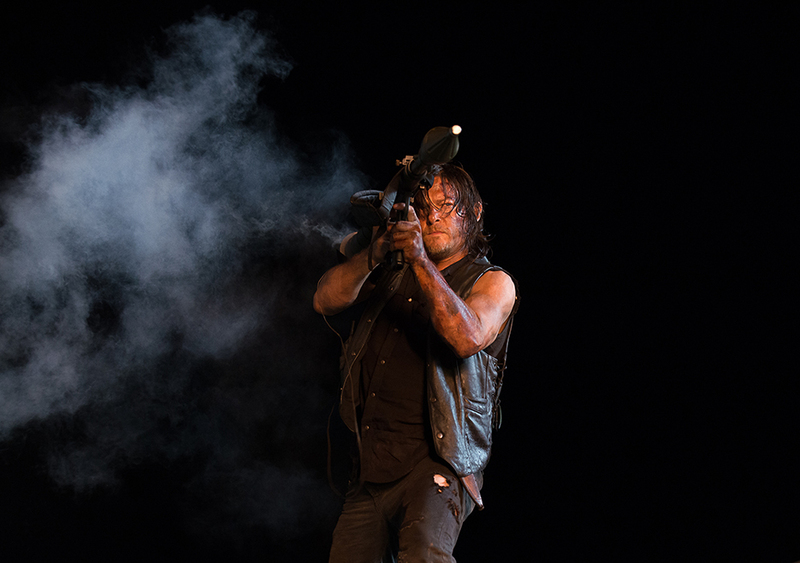 After a long hiatus and a ridiculous cliffhanger, The Walking Dead is back in business! 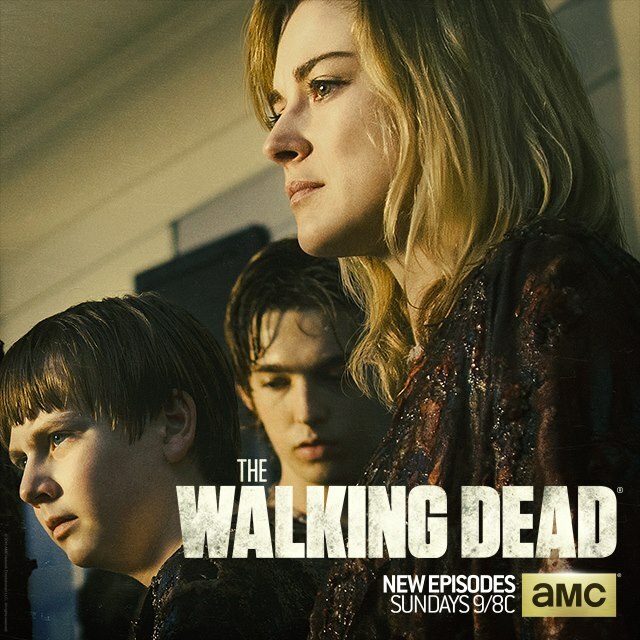 With a horde of walkers on the loose, as well as internal conflicts and a member of the Wolves at large, what will happen to the Alexandria residents? Let's find out. 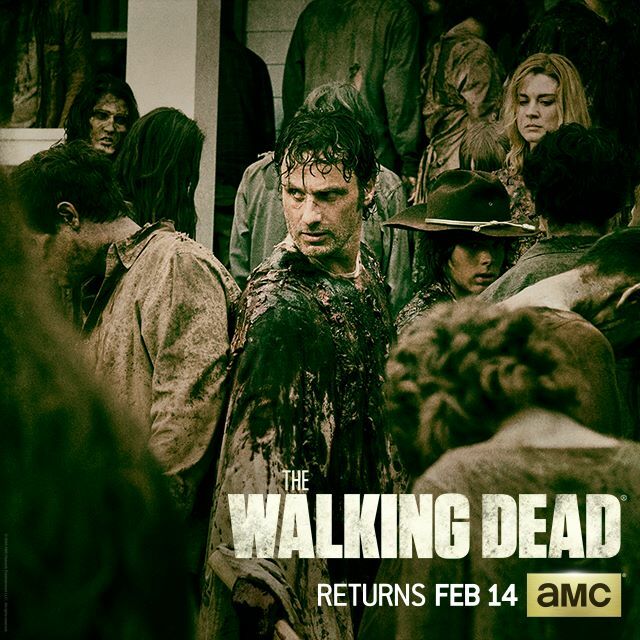 The Walking Dead is back...and what an episode. “No Way Out” reminded me of episode 5x01, “No Sanctuary.” There was constantly something going on and we were thrown back into the story almost exactly where it left off. I expected these deaths but not like this. I anticipated a big action sequence that happened fast, with Rick making a quick decision to leave them. Instead, it almost seemed surreal. And it worked so well. Honestly, it's one of the eeriest things I've ever seen in the show. I'm also really curious to see how Carl adapts and reacts to what's just happened to him. Not just physically, but emotionally and mentally as well. He literally just risked his life trying to save Jessie, Sam, and Ron, watched them die, and was almost killed by one of them—what kind of effect will that have? In one of the most intense moments of the episode, Abraham's line brought a much-needed moment of humor and signaled a long-awaited reunion of characters. It's surprising how comforting it is just knowing the group can be found in the same location again. I'm eager to see how everyone unites to rebuild, but I'm also curious about how things will continue on from here. TWD isn't a show where things stay happy and good for long. That being said, it was super cool to see everyone band together and stand up for their home. It's not something that's really been seen on the show before. - So that opening scene was not what I expected. Way to go, Daryl. - I love Michonne's friendship with Rick and Carl, and this episode really showed how much she's begun to care about them and see them as her family, when she was a bit reluctant to do so before. - EVERYONE IS REUNITED. Yeeeesssss. This episode made me just about speechless. 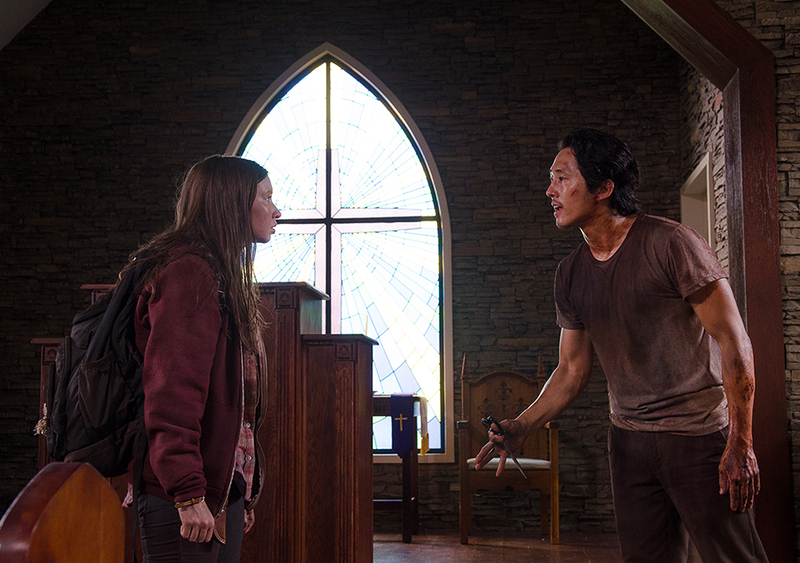 While the first half of season 6 dragged at some points, "No Way Out" did not disappoint. Even from the very beginning, tensions were high with different people in various parts of Alexandria, all of whom were in some kind of peril. The episode only continued to get more intense. Honestly, Sam's death completely shocked me. I hadn't read the comics, so I didn't know this was coming. As much as I've disliked Sam, I felt sad to see him die--especially in such a brutal way. 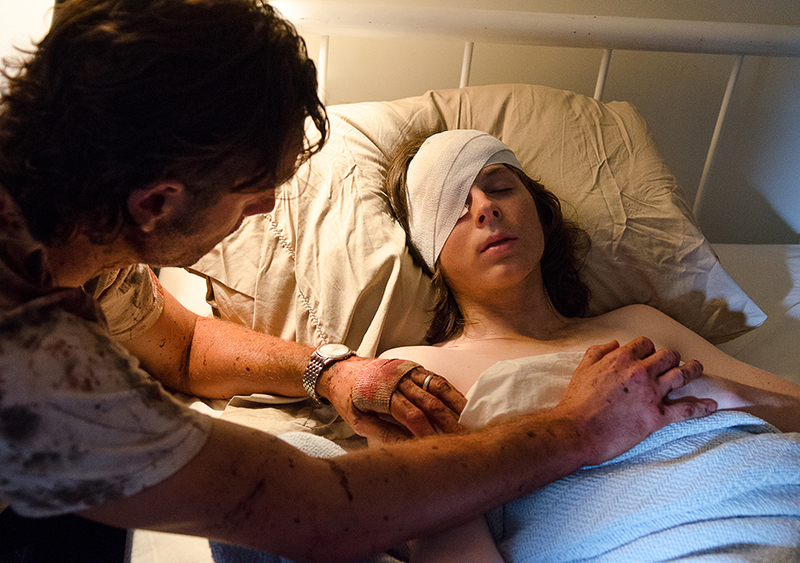 The Walking Dead keeps finding ways to make things even more graphic and horrible. The scene got worse from there--I kept thinking about how hard life would be for Jessie without her son, but I didn't think she'd die too. So, then Jessie died, and it was horrible to watch. I'm kind of frustrated because I feel like she had a lot more character potential. I would've enjoyed seeing what kind of woman she'd become after the loss of her son. Then Ron died, making this a triple-whammy. I had a bad feeling about Ron for a long time, but I never saw it ending like this. It was a shock to see Michonne's katana go through the heart of a kid, though I get why she had to do it. Rest in peace, Anderson family. I think some aspects of the triple-death scene could have been done a little better. I totally get why Sam stopped--he has had such a hard time with the way the world is now, and Carol's words couldn't have helped him cope. (For one of the first times ever, I felt annoyed with Carol.) But when Jessie didn't run... and then everyone else just stood around watching while she died... I don't know, it just seemed like a rookie mistake. 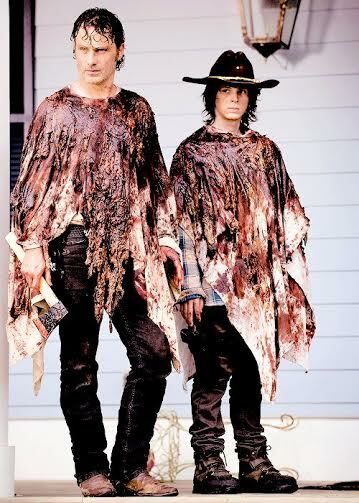 For example, both Jessie and Sam fell prey to walkers just because they stood still and didn't keep moving. Who's to say Rick, Carl, or Michonne couldn't have died as well? 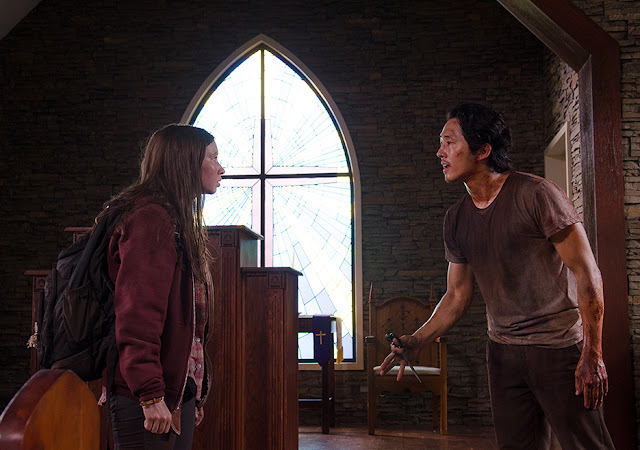 Giving Judith to Gabriel felt like a big mistake, but I was impressed with his and Eugene's ability to fight. Their courage, as well as the entire group of Alexandria banding together to save their home, was incredible. This is when I realized that our group really are members of Alexandria. I had assumed that they would have to leave and find a new place (like they did with the prison), so I'm glad they were able to take a stand for a change. Yes, it felt like a video game, and it was slightly unrealistic. But at the same time... it was incredible. I had really hoped and expected to see zombified Deanna in this episode, so I'm kind of sad we didn't. I was sure Spencer was going to encounter her, but he didn't. I guess that's good for him, but it would have made good television if he had. All in all, this was a fantastic mid-season opener. Here's to the rest of season six! If you thought this season was by any means boring, think again! I was blown away by the intensity and raw energy produced by the actors in this episode. 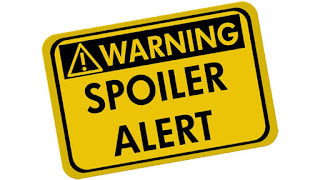 As a reader of the comics, I have to say that the changes made in the plot were done right and enhanced the complexity of the characters in this world. I want you to keep in mind that I like to analyze this world from an abstruse viewpoint and I am by no means supporting the twisted actions that happen in the show. Film/television is and can be art that must be judged from all sides. I'm not going to spoil anything from the comics, but I do hope that they keep Negan's personality the same. If his Scout's personality gave you an uneasy feeling due to his seemingly haphazard manner, just be prepared to meet his boss. Daryl never stops surprising us, now does he? The fiery explosion of Negan's Scouts was something only he could pull off. I feel that this opener really kicked the episode into gear. I'm also going to take a wild guess that Negan won't be too happy when he finds out that his people have been burned to a crisp. The end of Alpha Wolf was one I definitely didn't see coming. Sure, full redemption for the guy was probably not going to happen, but that one moment where he slipped back into humanity helped his end to be one of meaning. I mean, if we didn't have Denise, Carl would be gone for good. No, I never cared much for the wolves on a personal level, but on an abstract level they were artistically sadistic. They had a good run and showed us what could happen with those types of people. Glen and Enid have been quite smart when it comes to how they maneuver around the walker situation. I think that Enid is a lot like Glen as far as her ability to think fast in high-stress situations. As far as his plan to draw the walkers away goes...it was a bit dumb. How gut-wrenching would that have been if he had been eaten alive in front of Maggie? Anything to save the baby, I guess. Sam kinda had it coming. You can't live in this world pretending it doesn't exist. His mom didn't help either, and that's why I think Carol's words rang in his ears and stopped him from moving forward. It's a hard pill to swallow. Rick had to face another lover's death with an axe, and Michonne became her badass self again. Not to sound like a horrible person, but I may have shouted "YES" when Carl turned around and revealed his bullet wound. I was hoping that this wouldn't be left out of the show. 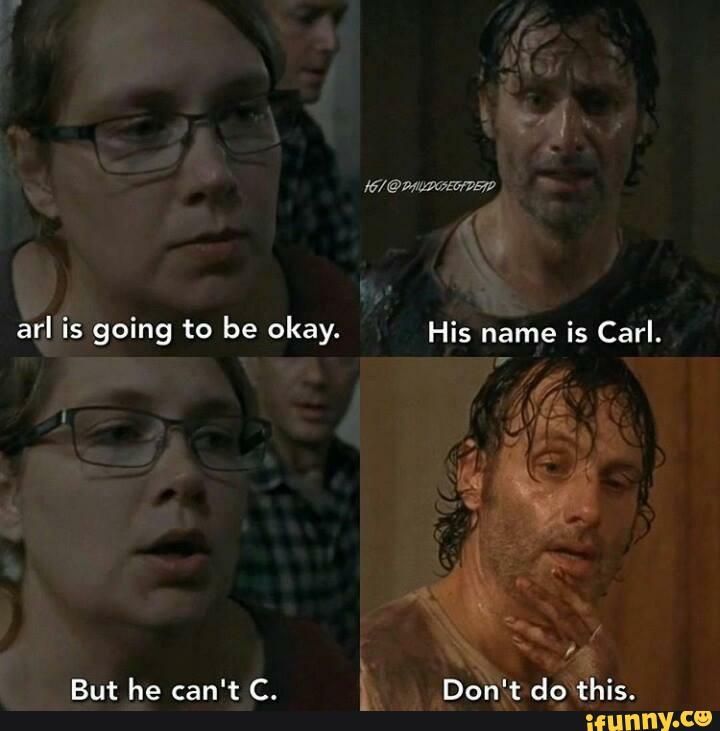 This moment has such a grand effect on Carl. Seriously. If you don't like Carl now, wait until you see what his character becomes after he heals. As Rick exited the infirmary to take back his town, I had a flashback to his blind rage in the prison when he lost Lori. It always appears suicidal, but I think snapping seems to be his only way to cope with loss. Honestly, many in the gang might be dead without it. We had an epic end to the episode with the lake of fire. I like that the walkers can't analyze between what is good and what is bad, as they walked right into the flames. Everyone came together to take back Alexandria, even Eugene! That whole montage of people standing up against the hoard of walkers was epic! I am very excited to see the rest of this season and how it plays out. Have you seen "No Way Out"? What did you think of it? 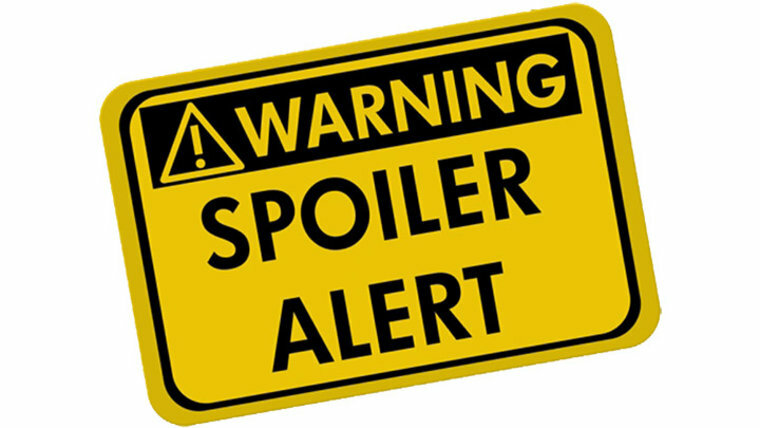 Share your theories, thoughts, and concerns about next week in the comments!